The Milwaukee police officer who sparked anti-police protest and violent riots has been arrested and charged with sexual assault in an incident he was allegedly involved in just two days after fatally shooting 23-year old Sylvie Smith, authorities said Thursday. Officer Dominique Heaggan-Brown was arrested and charged Wednesday with two counts of second-degree sexual assault and two counts of prostitution after a months-long investigation, authorities said. 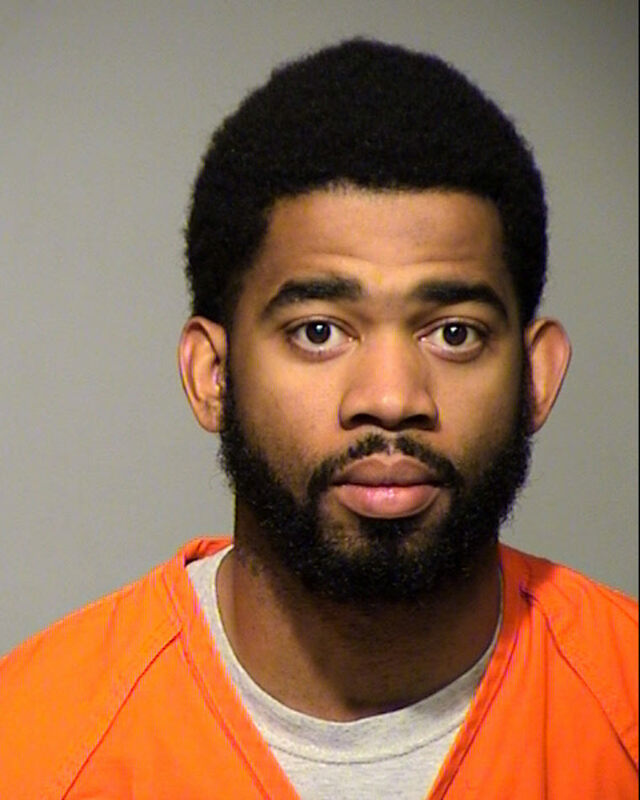 The events, which resulted in a decision to charge by local prosecutors, unfolded during the same time that Milwaukee became violently turbulent after Heaggan-Brown's fatal encounter with Smith on Aug. 13. According to a criminal complaint, the victim, a man described only as AV1, told police he was raped by the officer after the two fraternized at a bar. The alleged victim said he and Heaggan-Brown, who was off duty at the time, met in person after connecting on Facebook days after the officer shot and killed Smith. At the bar, the two drank heavily while watching news coverage of the protests, he said. The officer "bragged about being able to do whatever the defendant wanted without repercussions" and told the alleged victim that he has "no limitations," according to a criminal complaint. According to the complaint, the officer sexually assaulted the alleged victim after the two left the bar together. The officer then took the victim to a nearby hospital and told a security guard to take him in because he is "completely out, zonked out of his gourd," it alleges. That's when the alleged victim told the guard what happened, according to the complaint. "Its all-together awful," Milwaukee Police Chief Edward Flynn said at a news conference. "The fact is this individual has revealed his character [in ways] that did not come to light during the hiring process." The city was set ablaze for days after Heaggan-Brown shot and killed Smith, who was fleeing a traffic stop on foot, police said. Mass protests resulted in injuries not only to seven officers who were trying to calm the riots, but also to an 18-year-old bystander who was shot in the neck. Heaggan-Brown was with the Milwaukee police for six years and is on suspension with pay, Flynn said. "These are charges that go to the heart of our code of conduct and oath to protect and serve" he said. "This is more than a little distressing."